Long-Term Care Program Debuts In New Health Law The Community Living Assistance Services and Supports Act will help Americans save for long-term assistance and will benefit senior citizens who have difficulty caring for themselves. The voluntary program will operate like Social Security and deduct monthly premiums from participants' paychecks. The Community Living Assistance Services and Supports Act will help Americans save money to meet the cost of long-term care as they age. The program will especially benefit senior citizens. It got precious little debate in either the House or Senate, and President Obama didn't even mention it when he signed the huge health bill into law. But buried within the new health care overhaul is the first-ever federal insurance program to help Americans meet the often crushing costs of long-term care. The Community Living Assistance Services and Supports Act, better known as the CLASS Act, was one of the last legislative efforts of the late Sen. Edward Kennedy (D-MA). He added it to the health bill last summer as it was moving through the committee he chaired in the Senate. While some lawmakers questioned whether the program would, as promised, actually pay for itself, it remained in the measure to the end. 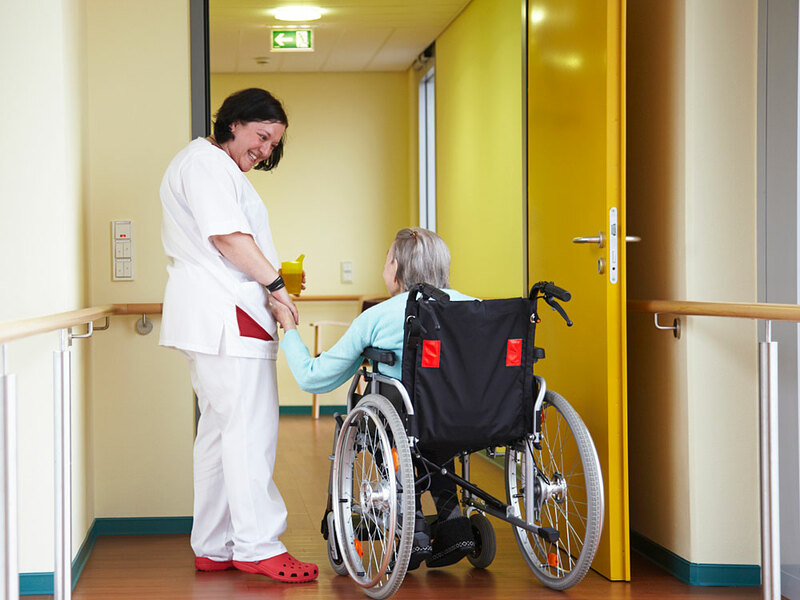 "Long-term care supports and services have been the forgotten element of people's health care needs," said Judy Feder, a senior fellow at the Center for American Progress and professor of public policy at Georgetown University. "People who need help with the daily tasks of living need medical care, and they need these daily supports. They don't distinguish between the two." The population that needs long-term care is large and growing. Currently, an estimated 10 million Americans have enough trouble performing so-called acts of daily living — things like bathing, dressing and eating — that they require assistance. The vast majority of that population lives in the community, not in nursing homes or other institutions. Yet most people are woefully ill-prepared for the costs that accompany those needs — nonmedical costs that typically are not covered by Medicare or Medicaid. That's where the CLASS Act comes in, says Nora Super, who directs federal government relations for the senior group AARP. "We find that the vast majority of people need long-term care assistance as they get older, but they don't save for it," she says. "So this will help people start saving for it in a very simple way, and help supplement their saving needs for the future." While the CLASS Act is a voluntary program, it was designed to work like Social Security, with premiums to be deducted from workers' paychecks, unless they opt out. Enrollees become eligible for benefits after a five-year "vesting" period. The Department of Health and Human Services will determine the exact amount of premiums and benefits, and benefits will vary depending on the level of each person's disability. But benefits will be cash amounts that will be no less than $50 per day. While that won't pay for a nursing home stay, which averaged more than $76,000 a year in 2008, "the benefit itself is not insignificant," says Al Schmitz, a principal and consulting actuary with the health care consulting firm Milliman. "Somebody getting $1,500 a month, that can still help with getting some home care, getting community assistance," he says. But what does worry Schmitz is the possibility that the program might not live up to its promise of paying for itself. One worry is what actuaries like him call adverse selection. "If the final premiums ... end up being too high, I think that has the potential to scare away healthy individuals and really only attract less healthy," he says. That would mean that there wouldn't be enough healthy people to help spread the risk, and premiums would get even higher still. But Georgetown professor and long-term care expert Judy Feder says that doesn't worry her. In making its estimate that the CLASS Act would remain solvent for at least 75 years, she said, the Congressional Budget Office used participation rates similar to those for private long-term care insurance, "which are very low, about 5 percent. And I think that's conservative. Because with a federally blessed, federally advertised program, there is a likelihood of higher participation rates from the get-go, which is what you need to make sure that healthy people are signing up." The program is expected to launch next year. The next step is for the Department of Health and Human Services to determine the premiums and benefits, and start signing up employers to offer it.